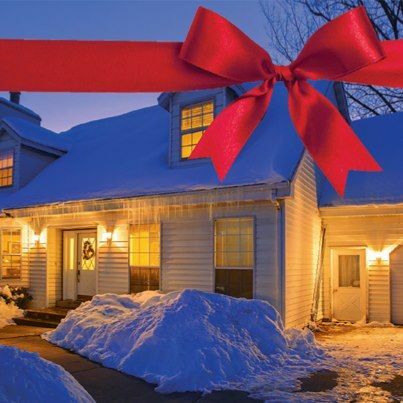 For the fifth consecutive holiday season, Pepco customers can purchase a Gift of Energy for that special someone who may need help paying their monthly electric bill. By giving the Gift of Energy, you are truly giving that special person the gift of warmth. It is the simplest way for people to help a relative, friend, or colleague with their energy bill, and you can make a Gift of Energy purchase through January 15. Giving a Gift of Energy is no different than making a payment on someone’s account. The program’s success hinges on making the experience easy, which is why a customer’s name and address – not account number – is all that is needed when purchasing a Gift of Energy for someone. You can purchase a Gift of Energy for a Pepco customer at one of our Walk-In Service Centers (listed below), or on our website, where a Gift of Energy contact form is available. Once the form is submitted, a customer service representative will contact you and complete the transaction via telephone. In return, you will receive a free holiday greeting card which can be used to notify the customer of your generosity, or you may keep it anonymous. Monday – Friday, 8:30 a.m. to 5:15 p.m.
Monday, Wednesday and Friday only, 10 a.m. to 2 p.m.
We’ve Been Working to Improve Reliability. Here is What We’ve Done! Upgrading priority overhead lines that serve the largest number of customers. Accelerating tree-trimming efforts to remove limbs that threaten power lines. Preparing for system growth by proactively upgrading and installing power lines and equipment. Moving select power lines underground where overhead system improvements will not suffice. Improving additional power lines that have been negatively impacted by trees, vegetation, weather and animal-related issues. Installing advanced technologies to isolate power problems and automatically restore service to the most affected customers within minutes. To keep this post short and to the point, I’m going to briefly focus on two areas of our work plan that already have delivered significant reliability benefits: tree trimming and installing advanced technology. Since last September, we have trimmed trees along 302 miles of right-of-way in the District and 2,299 miles in Maryland. Many storm-related outages are a direct result of trees falling on power lines, and this trimming helps minimize the threat of limbs and branches falling on our overhead electric wires. Additionally, we are working with counties, communities and homeowners to remove potentially hazardous trees that may come down outside of the company’s right-of-ways and damage equipment. Also since last September, we installed advanced control systems on five power lines in the District and 26 power lines in Maryland. The advanced control systems make it possible to pinpoint and isolate failed equipment, and automatically reroute power to restore most of the affected customers within minutes of the failure. We have also installed 161,800 smart meters in the District and 21,347 in Maryland. When activated, your smart meter will alert us that your home or business is without power helping to speed restoration. This capability is particularly helpful when you are away from home. These two areas of our work plan are integral parts of Pepco’s five-year reliability plan that will ultimately reduce the frequency and duration of outages. In the event that an outage does occur, this work will help ensure that service is restored quickly. I will dive into the progress and benefits of the remaining parts of our work plan in future posts.